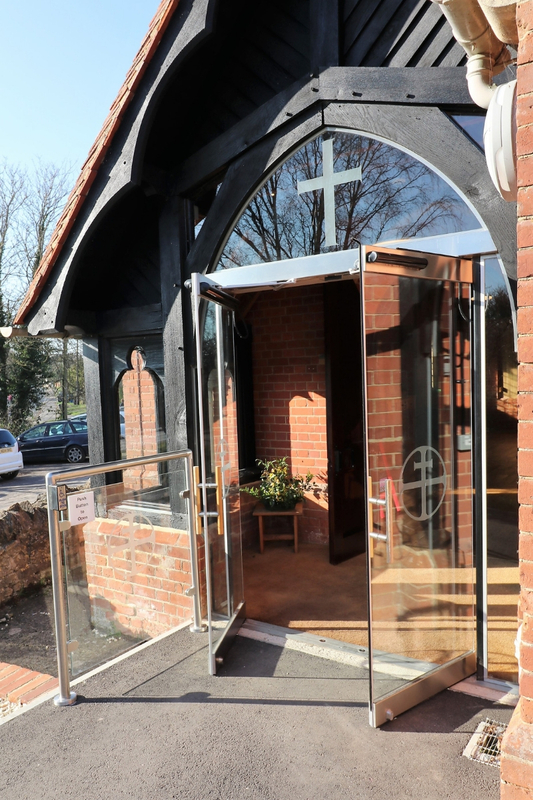 To create an external porch with automatic double glass doors to provide easy access for visitors to the church as part of an overall project to make the church more accessible to the local community. 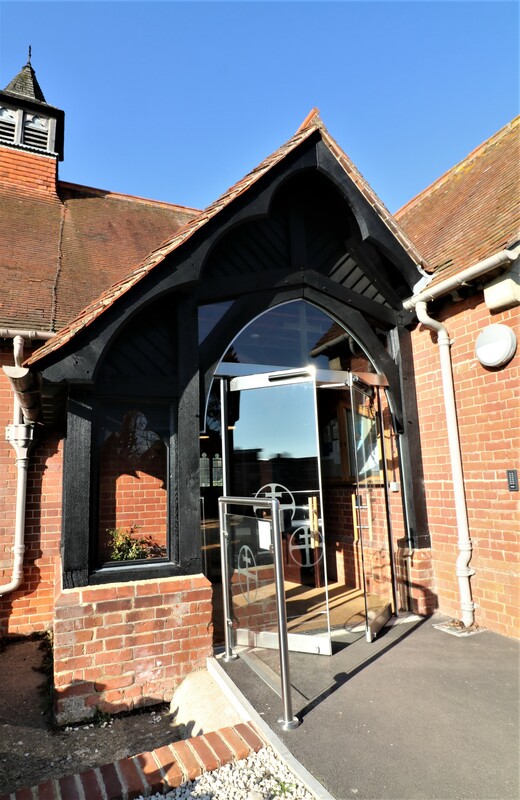 The new porch is fully enclosed with glass to provide a welcome and weatherproof entrance. 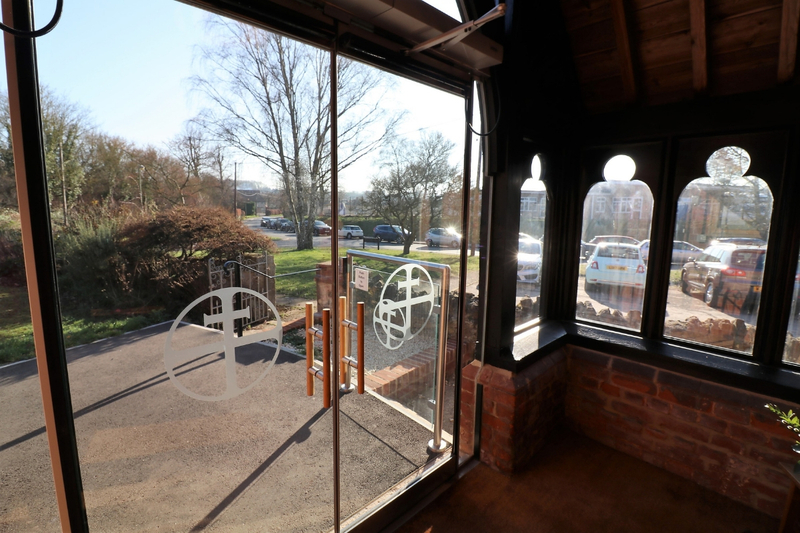 A bespoke external glass screen with a pair of fully automated glass doors; surrounding glazing to fully enclose the porch. 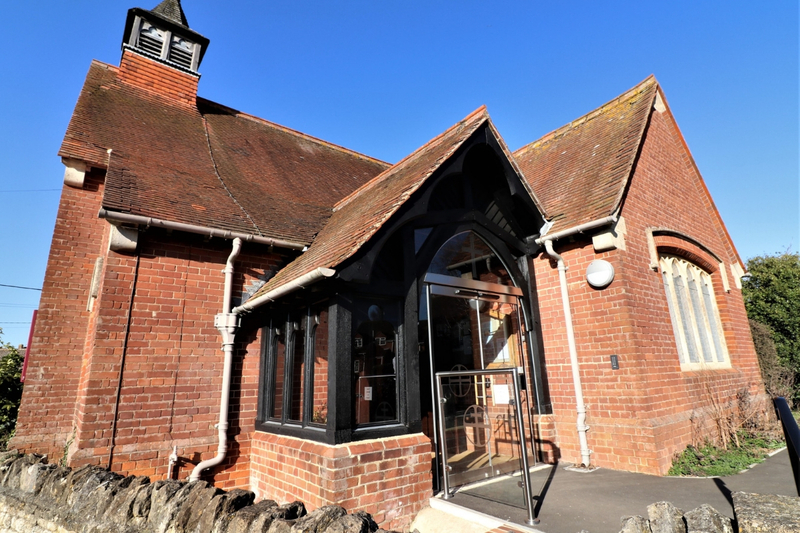 Holy Trinity Church dates back to 1907 when it was built to serve the local community. 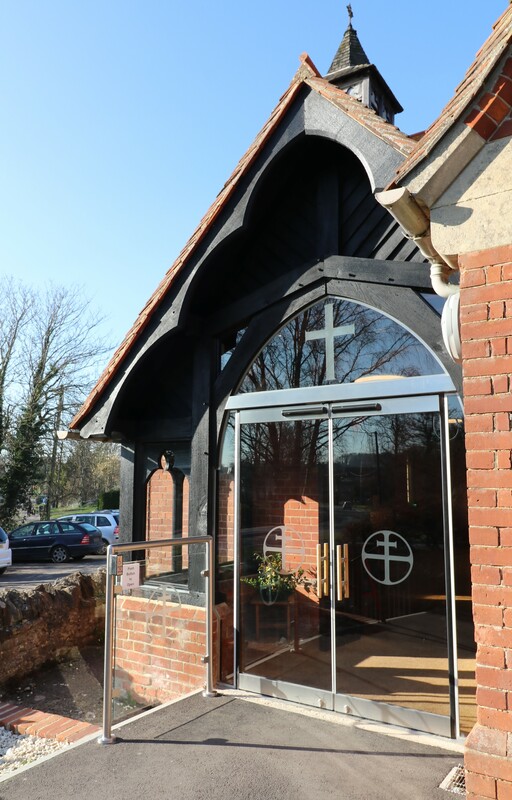 Use of the building had reduced to a few hours each week and the decision was taken to re-order the church so it could be used for both worship and regular community events. 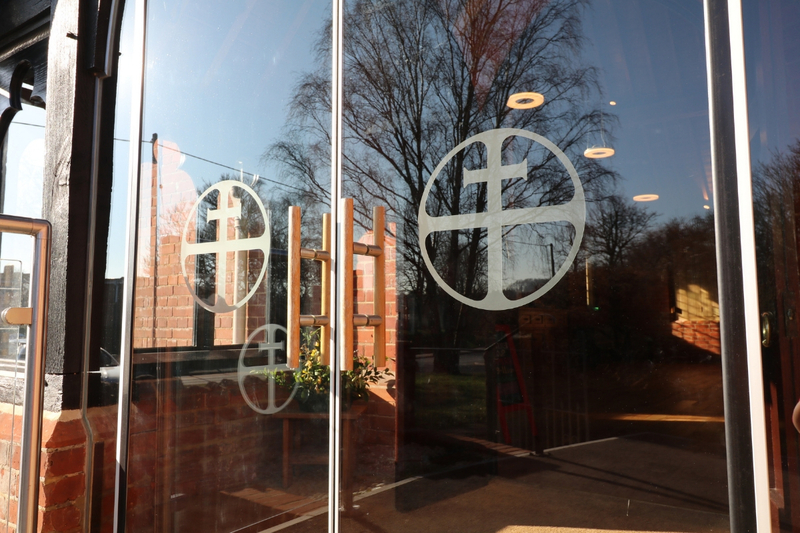 Replacing the wooden pews with lightweight chairs, building storage cupboards, kitchen and toilet facilities has allowed use of the church for a variety of activities from Baby and Toddler groups to Yoga and Circle Dancing. 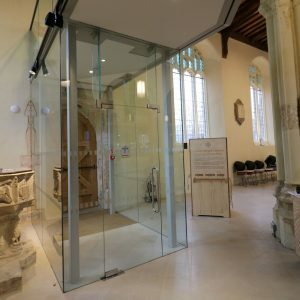 Enclosing the porch with glass and installing a pair of automatic glass doors set within a bespoke glass screen has made the building fully accessible. 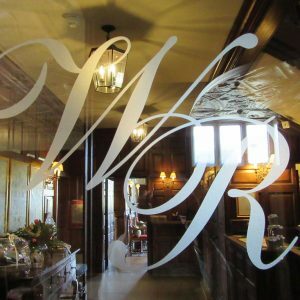 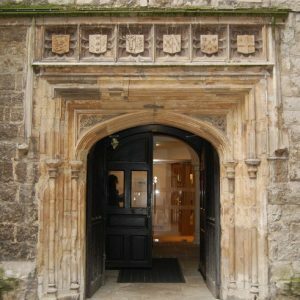 The original arched wooden door was cut in half to create more user-friendly double doors, creating a welcoming entrance for all visitors. 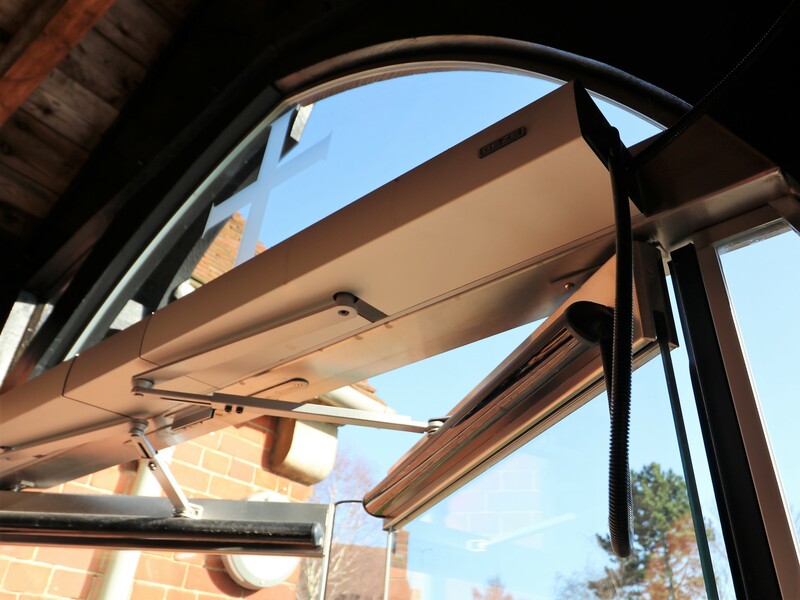 The automated doors have top and bottom rails, fitted to free swing top and bottom pivots and GEZE EMD-F electro-mechanical swing door operators. 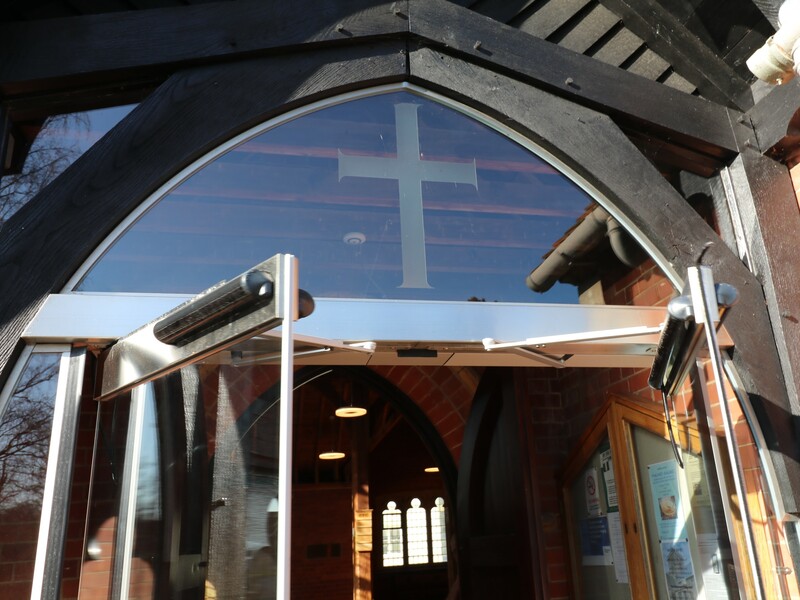 Touch button operation is via an external stainless steel safety barrier infilled with a glass panel and fitted with a push plate engraved ‘Push to Open’ and a similar plate inside the porch for exit. 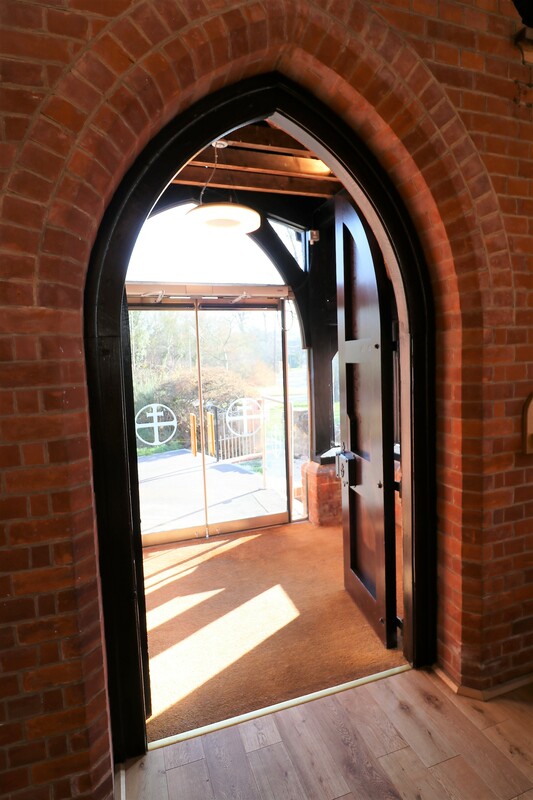 A glass over panel and two side panels were bespoke manufactured to perfectly fit the original wood and brick archway of the porch, providing a cohesive result that sits flawlessly in the space. 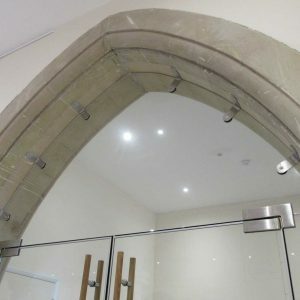 The panels included anti-glare treatment and a bespoke glass manifestation. 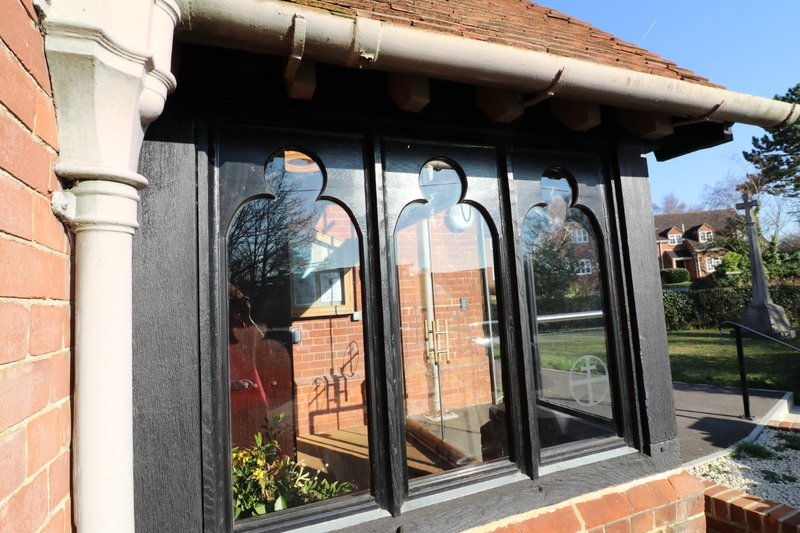 Previously the porch had been open to the elements: infilling the window spaces with toughened float safety glass has created a weather proof space that allows the original wooden doors to stay open during activities, introducing more natural light to the interior.